.177 caliber pellet, multi-pump. 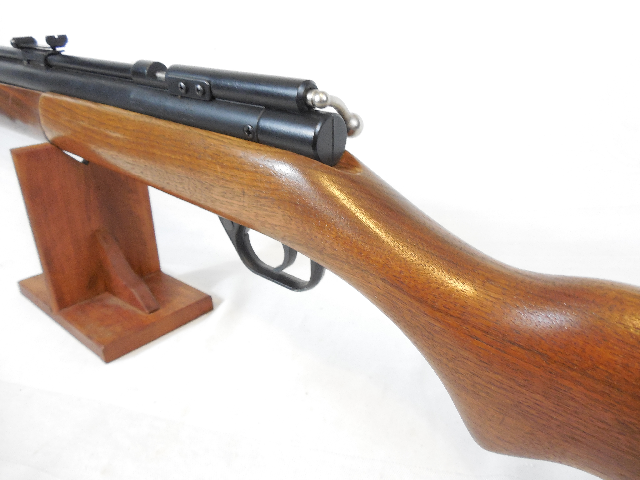 Nice wood stock.This is the classic American pump air rifle. This one was made in 2002 and has the letters “ RM” scratched beside the serial number. 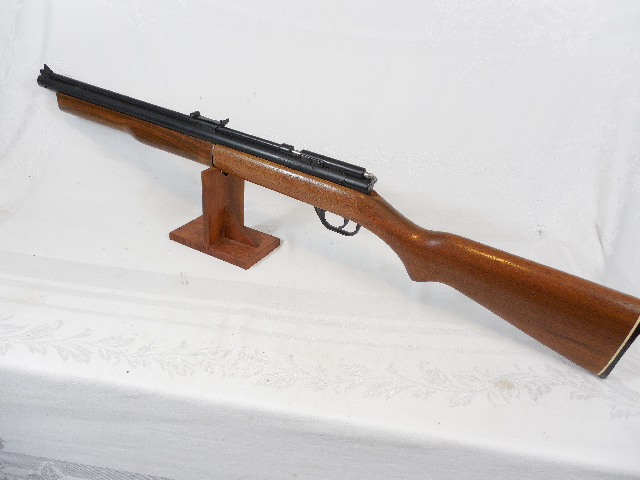 I guess this one was once sold as a re-manufactured air rifle. We examined and tested the velocity. Looks and shoot fine. 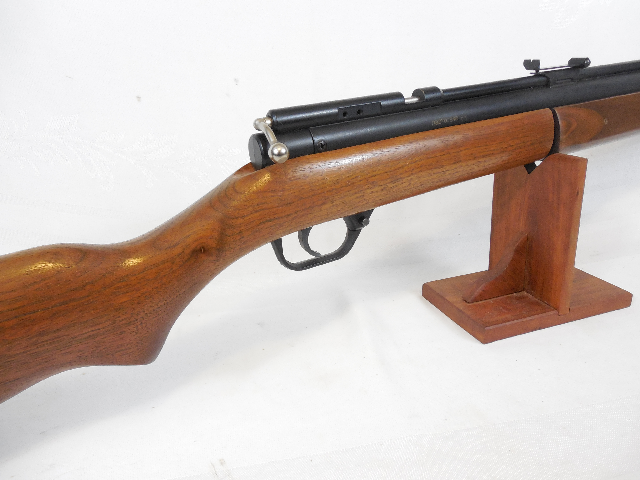 Match this rifle with our one piece scope mount and UTG 3-9 x 32 AO Bug Buster Scope and have the ultimate variable velocity air rifle. 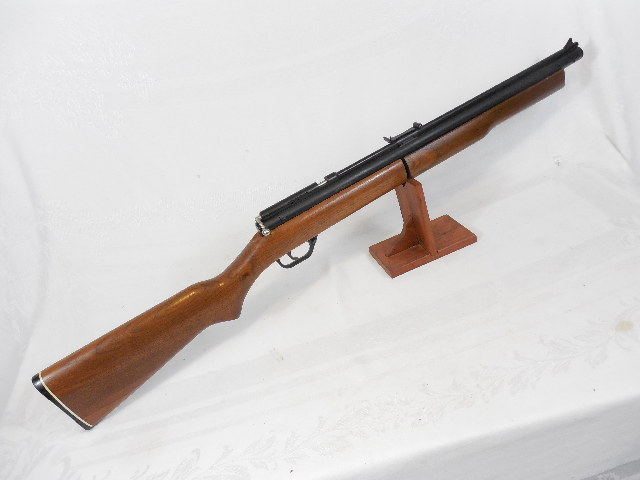 Variable velocity air rifles have the advantage of being adjustable to fit the shooting situation. Pump it 3 times and plink or practice.